What’s in a name? The “Green” in Golders Green is thought to allude to the manorial waste upon which the settlement was built in the 18th century; and the verdant surrounds in this northwest London suburb are certainly still apparent today. With wide tree-lined streets and plenty of grassy open space, this affluent district is popular with families and professionals alike. 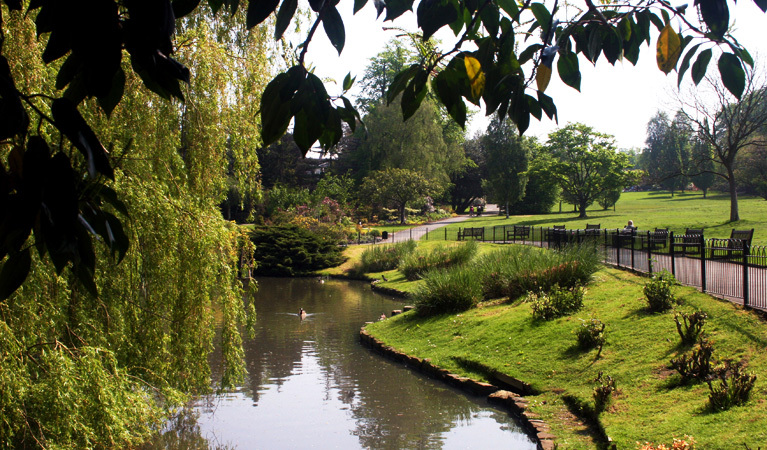 There’s a strong village feel, too, with one focal point being Golders Hill Park, which is home to a zoo, ponds, tennis courts, popular café and walled gardens; plus there’s the grand Hampstead Heath nearby. You’ll find plenty of shopping options at Brent Cross; not to mention numerous spots for dining out locally – the variety of cuisine on offer reflects the area’s international population, which includes considerable Jewish and Japanese communities, as well as a cosmopolitan mix of Turks, Koreans and Italians. One of London’s most popular Hindu temples, The Shree Swaminarayan Temple, formerly a Presbyterian Church, attracts large crowds with its annual Diwali Festival of Lights celebration. And with just a twenty-minute journey time into the West End on the Northern Line, the area is also very well connected. 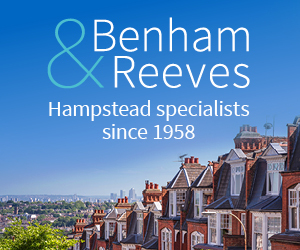 This friendly suburb was founded in 1907: a campaign run by Dame Henrietta Barnett, the London philanthropist, aimed to save part of Hampstead Heath from development and instead create a healthy and beautiful place for people of all classes to live. Golders Green is made up of a variety of housing, from large detached and semi-detached houses, mostly Edwardian and post-war in age and style, as well as flats and modern apartment blocks. Golders Green Crescent is popular for its privacy, offering a peaceful setting. The streets that surround Golders Hill Park are, naturally, very popular and they command some of the area’s highest prices. Ingram Avenue in NW11 is Golders Green’s most expensive road and one of London’s famous “billionaires’ rows”. Other sought after addresses are Holne Chase, Neville Drive and Norrice Lea, which offer more traditional properties. Elsewhere, in South and North Squares, you’ll find wonderful homes designed by the architect Sir Edwin Lutyens.